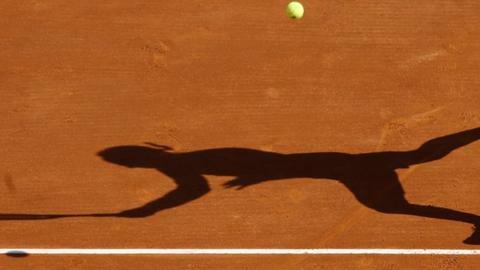 The organisation tackling the threat of match-fixing in tennis received 48 alerts of unusual or suspicious betting activity in the first quarter of 2016 - up from 31 in the same period of 2015. The Tennis Integrity Unit (TIU) got one alert from a match at the Australian Open and one from the WTA Tour. The rest concerned matches at Futures and Challenger level. The TIU, which is publishing figures after evidence of suspected fixing was revealed in January, says alerts are not always indications of wrongdoing. The TIU said a full investigation would follow if it believed corruption was likely, but it stressed irregular betting could also be a result of incorrect odds setting, player fatigue or injury and playing conditions. There have been 24,110 professional matches played around the world this year, meaning only 0.2% of them have been flagged by betting companies. "Every alert received by the TIU is assessed and followed up as an indicator that something inappropriate may have happened," the TIU said. Earlier this year, the TIU was criticised after an investigation by the BBC and BuzzFeed News revealed 16 players who have been ranked inside the world's top 50 were suspected of fixing matches over the past decade. Never want to miss the latest tennis news? You can now add this sport and all the other sports and teams you follow to your personalised My Sport home.